This vault door is mounted on an 8” formed channel iron frame. 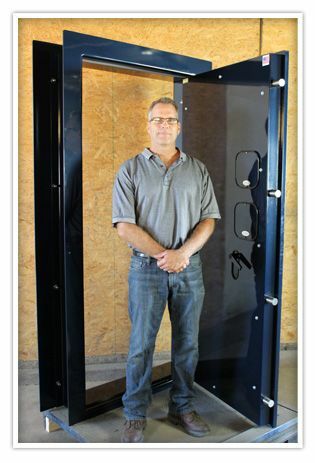 It comes with a 1” solid steel door skin, giving an overall door thickness of 4”. 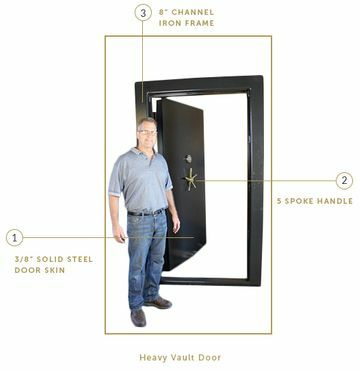 The door weighs in at 1600 pounds and comes with 8 plungers made of 1 ½” Stainless Steel round stock. 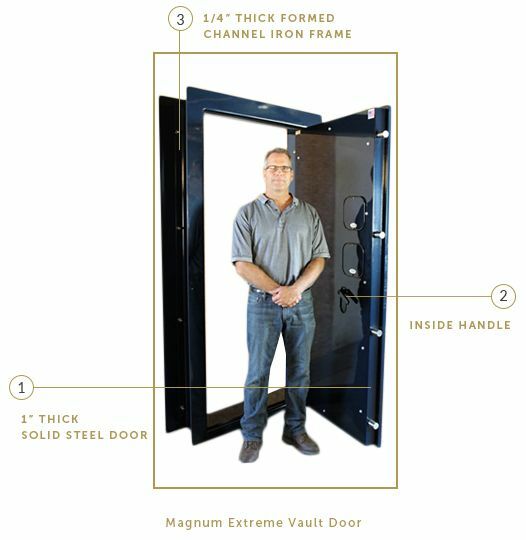 The Magnum Vault Door Extreme is the door that tells people that you are serious about security. The 1” solid steel door will be difficult to cut with a torch or cutting wheel, but if you want the next step of security, I will make it out of Stainless Steel. Once the door is painted, no one will know it's Stainless Steel, and Stainless Steel cannot even be cut with a torch. 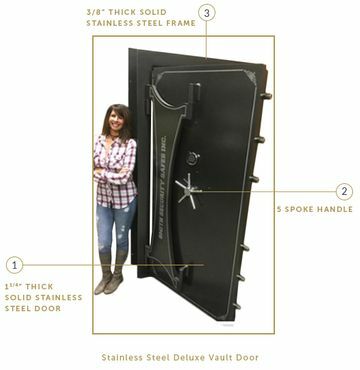 The Magnum Extreme Vault Door comes with a 1” solid steel plate with an overall thickness of a little over 4”. It comes with a 8” formed channel iron frame. 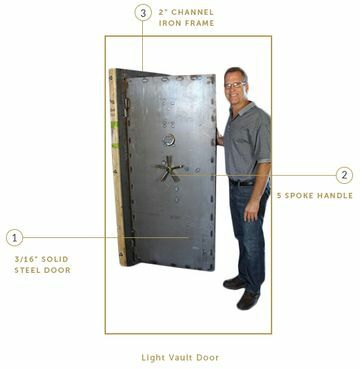 This vault door weighs in at 1,650 lbs and has 8 plungers that are 1 ½” diameter made of stainless steel. This door can be mounted to any wall thickness and needs a rough opening of 82 x 43.75” or give us a measurements and we can build it to whatever you need. It is best mounted directly to the concrete with all wood removed. 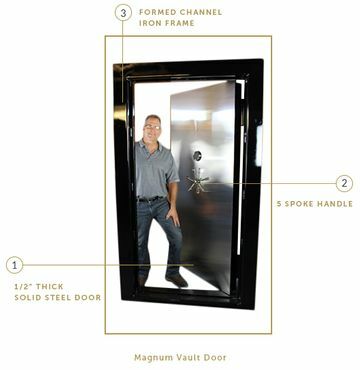 The Magnum Vault Door is my best seller for two reasons: 1) it’s a very impressive door, 2) at a very reasonable price. 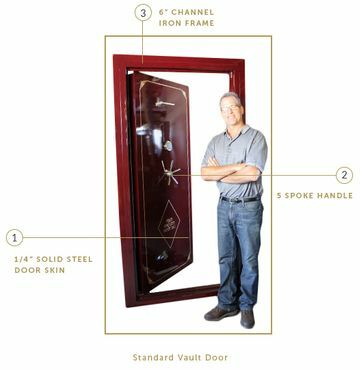 If you are looking for a vault door that will keep your family and most valued property extremely secure then this door is for you. 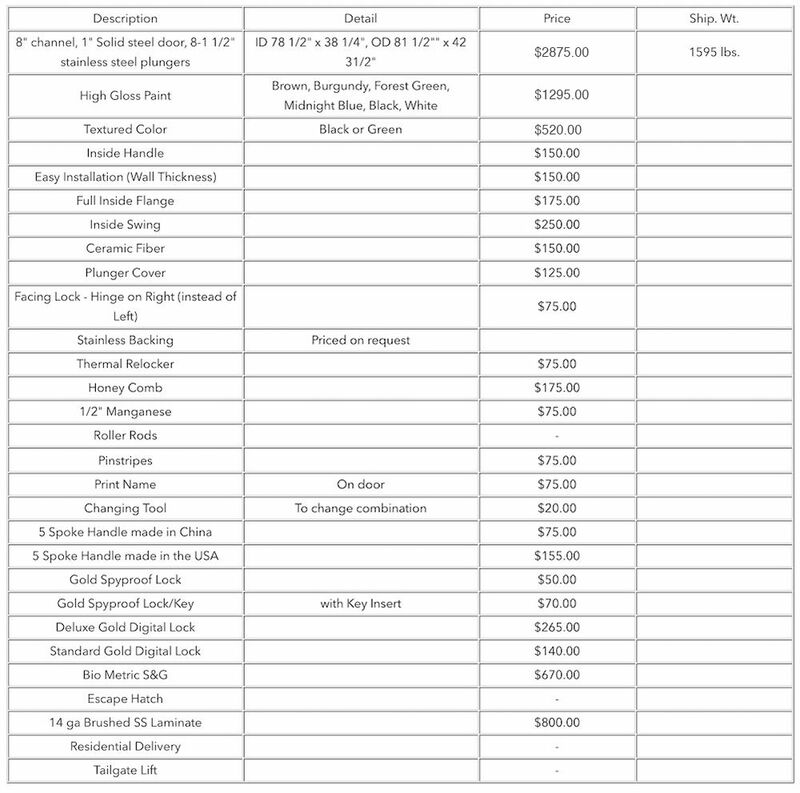 This door is nearly impenetrable, and there is a vast array of options that you can have equipped on this vault door as you can see listed above. These options can make the standard version of this door much more impenetrable. These options can prevent criminals from cutting through the vault door, and these options defend against the many tools that criminals use including cutting torches. You are also able to lock yourself in the vault and safely let yourself out with the inside handle. This vault door will turn your vault room into a fortress. You can have peace of mind that the things you care about most in this world are safe from harm. 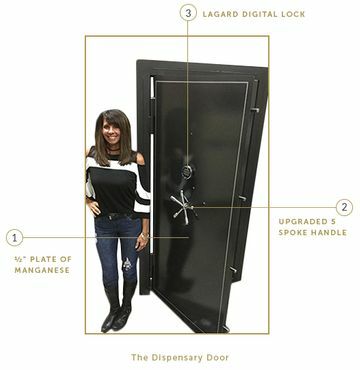 If you are looking for a vault door that offers more security than my Standard Vault Door, Heavy Vault Door, and even my Magnum Vault Door then this is the one for you. You may be looking for even more security. If this is the case then maybe you just need something more, something different. 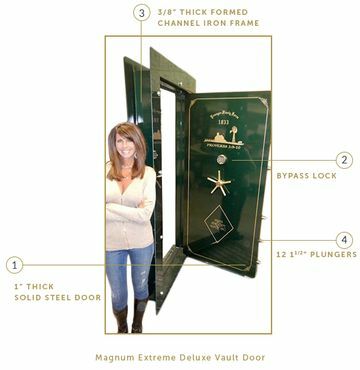 You are looking for a DELUXE vault door, a door to end all doors! If this is the case then you need to check out the Magnum Extreme Deluxe Vault Door and Stainless Steel Deluxe Vault Door which are the most secure and extreme doors I have to offer.